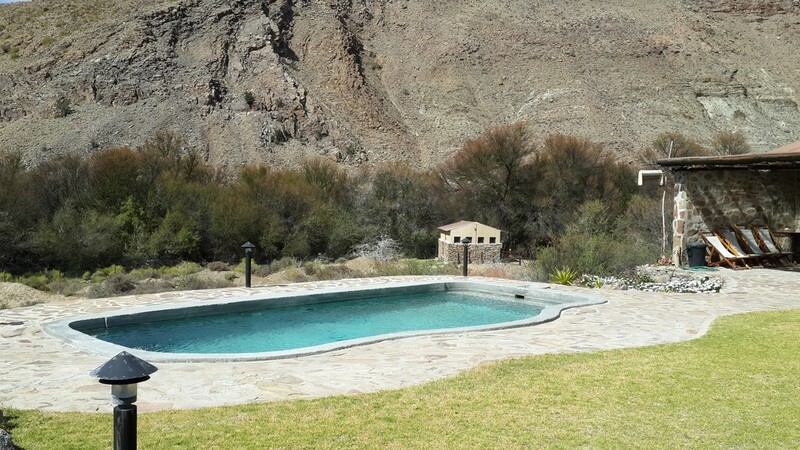 Situated in the heart of the Karoo, next to the Buffels River, Wagendrift Lodge offers everything for the whole family to enjoy. 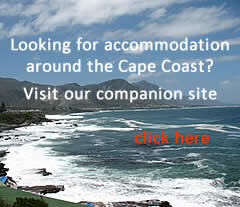 From 4x4 routes, hiking trails, bow hunting, mountain bike trails and rock climbing to game viewing. 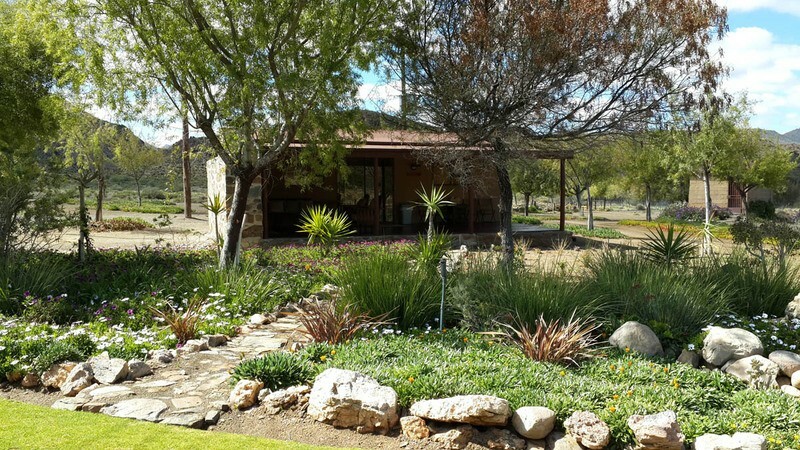 Beautiful gardens populated by a vast selection of birds surrounds the luxurious cottages and lodge. 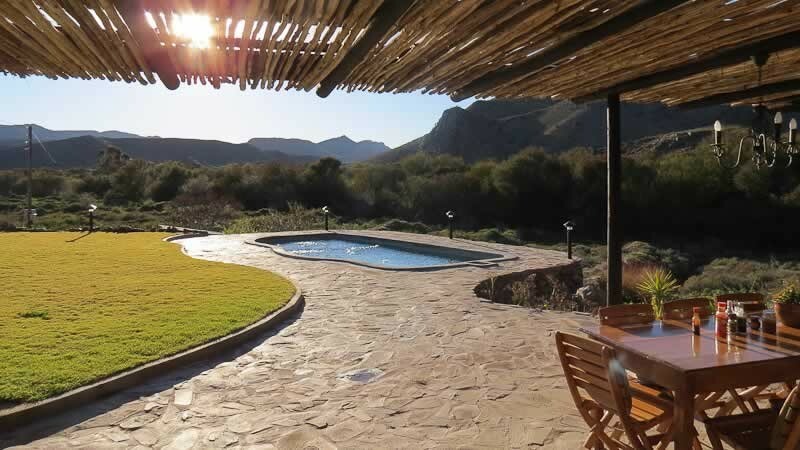 Wagendrift Lodge has an abundance of game which guests can explore on foot, bicycle or 4x4 drives. 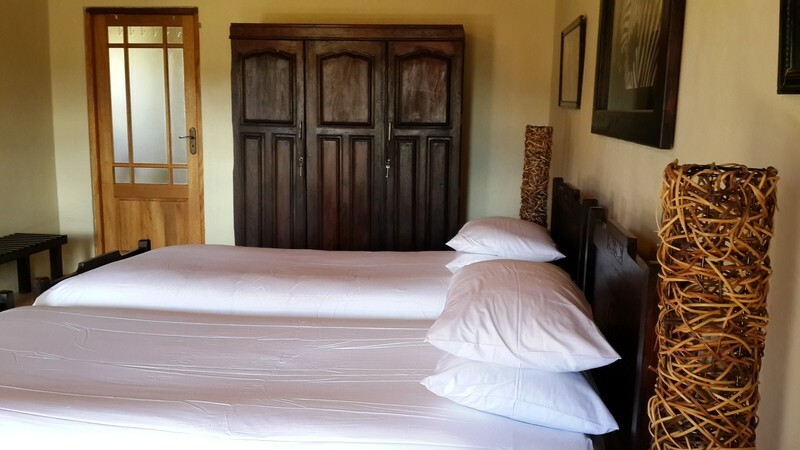 The facilities at Wagendrift are exceptional. 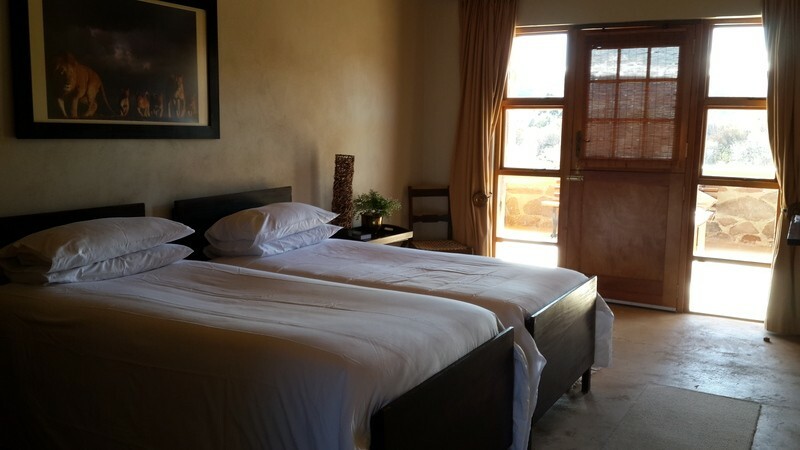 The fully equipped, large stone lodge, offers five luxury double rooms with en-suite bathrooms. 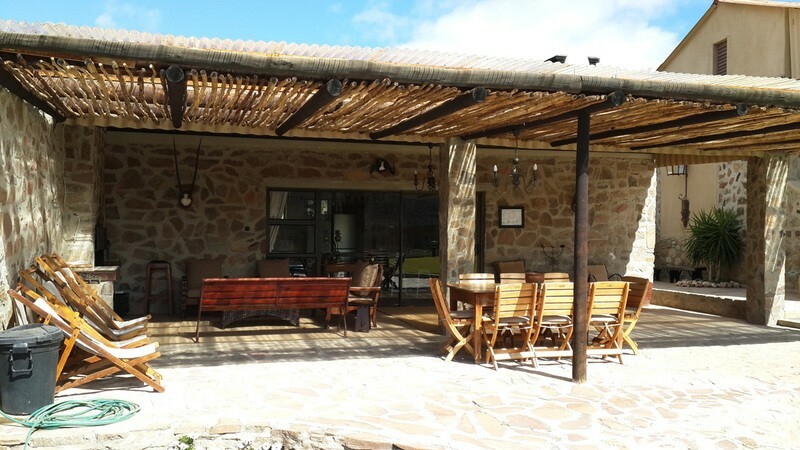 The lodge has a swimming pool, fully kitted entertainment area on the porch, a large fully equipped kitchen, porch braai and built in fireplace. The view of the surrounding mountains are spectacular. 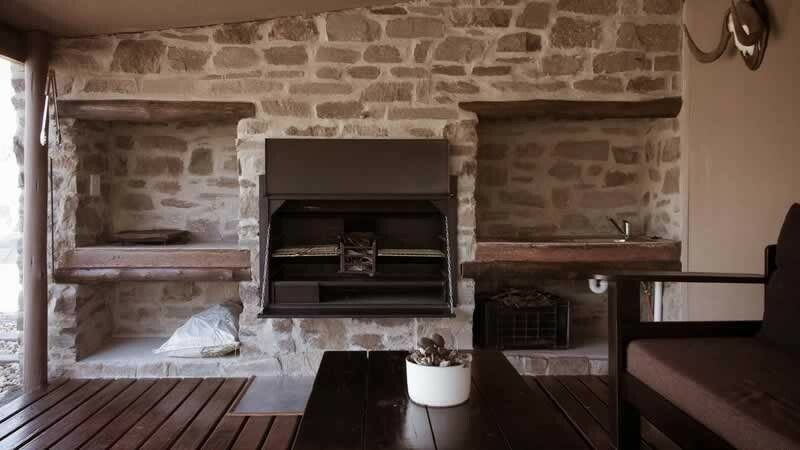 Three self-catering cottages can be found adjacent to the farmhouse, comfortably accommodating two adults and two children each. 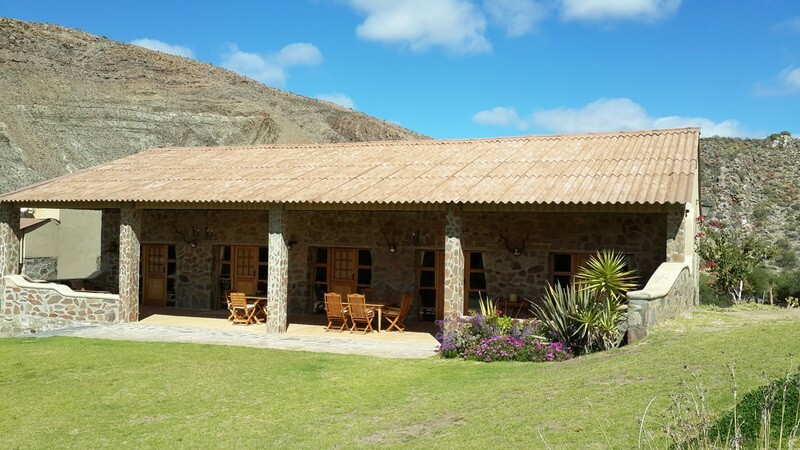 In total, the Lodge and cottages can accommodate up to 22 people. 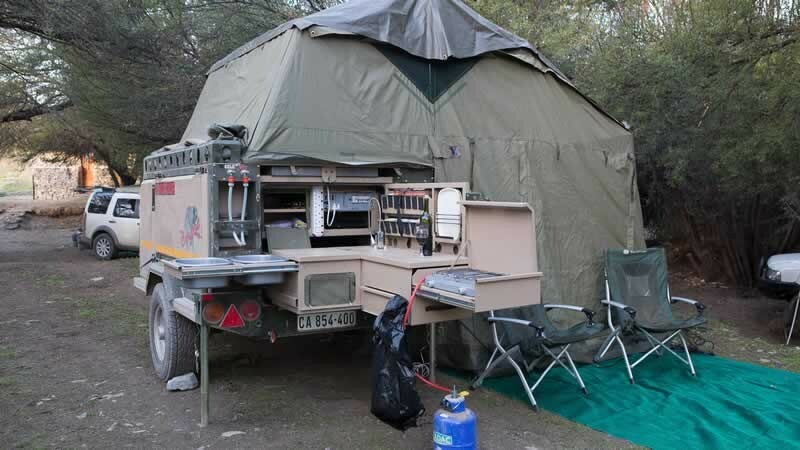 For those in search of little less luxury, we offer camp sites, some perfectly laid-out on the banks of the Buffels River. 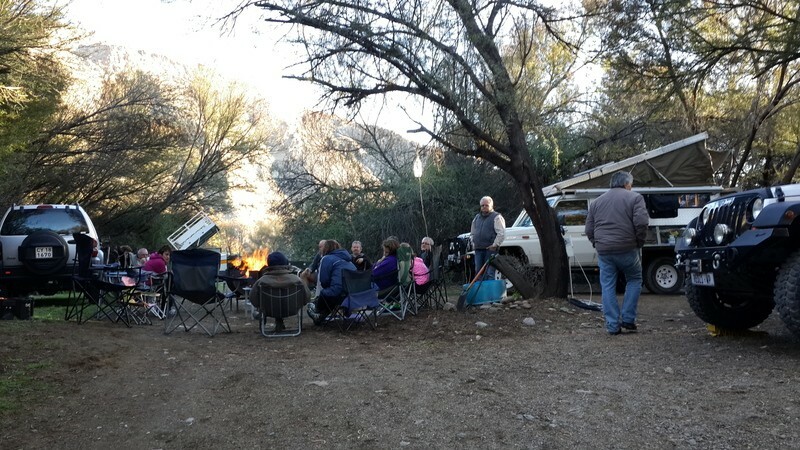 Each site equipped with its own power point, rubbish bin and braai facility. 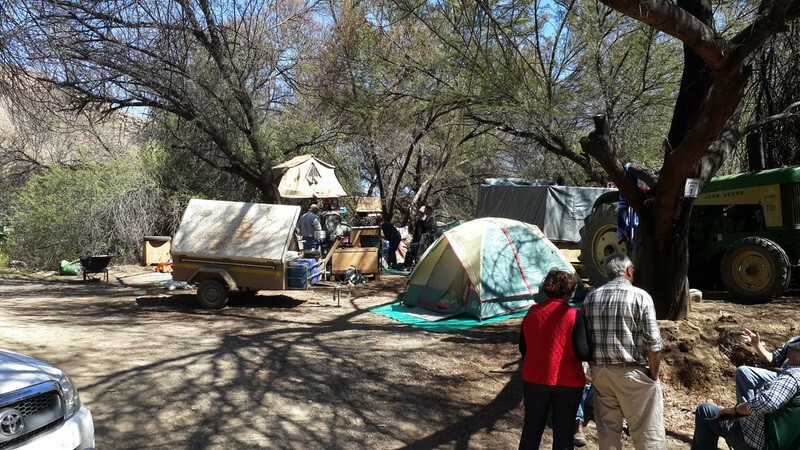 With the camp sites, we offer ablution facilities with toilettes, hot water and showers. 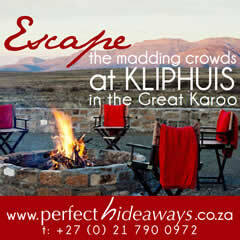 In 2012 Wagendrift Lodge had the privilege to accommodate the Wegry Magazine. 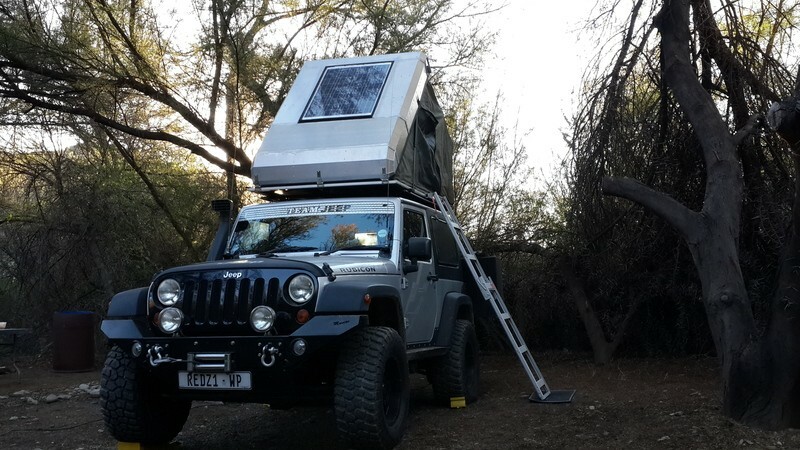 Graded by them, Wagendrift received grades of 3 and 4 on our various trails. 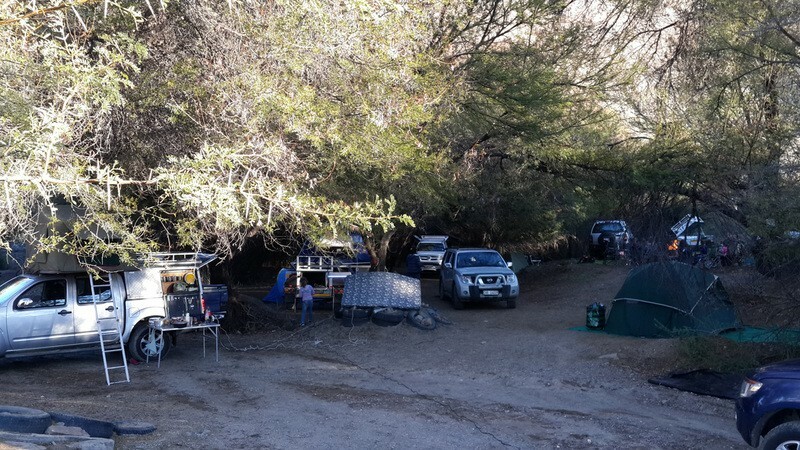 The River Trail sets out from the camp site and crosses the Buffels River which, depending on the leiwater, can be fast-flowing, strong and deep. This trail is any 4x4 loverâ€™s dream. 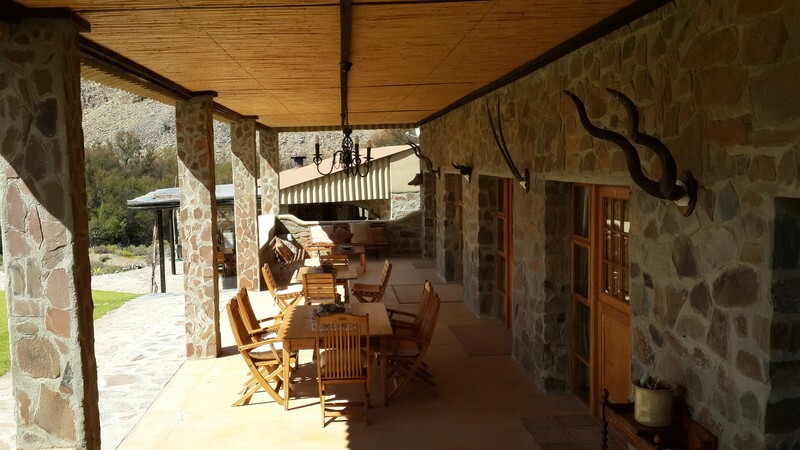 Please use the menu above to have a closer look inside Wagendrift Lodge and at the activities on offer. Should you require any further information, please do not hesitate to call or email us. Turn right at the Ladismith/Anysberg sign (Standard Bank). 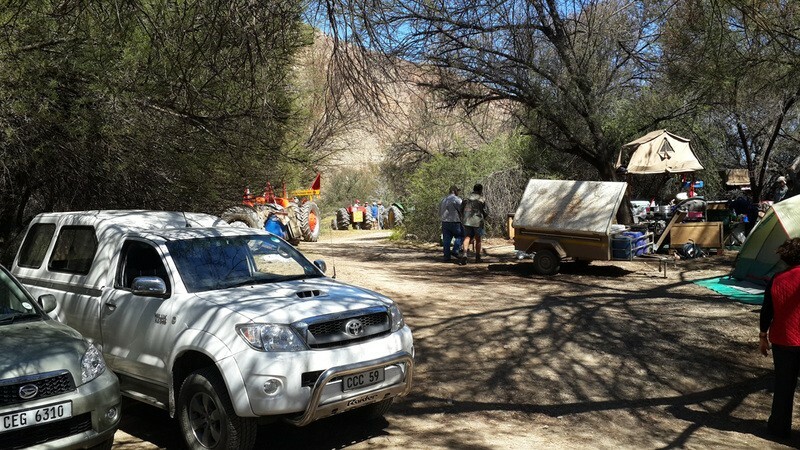 Follow the road for +/-28 km and turn right into Wagendrift (Should you reach the gravel road you should turn back 1km, as you have then passed the farm). Follow the farm road for 2km end where the road splits, keep left to reach the farm. Turn right and head for Calitzdorp. After Zoar turn left at the Wagendrift Lodge sign, and continue for 62 km through the Poort. When you reach the tar road, travel 1km, and then turn to your left into Wagendrift. Follow the farm road for 2km and where the road splits, keep left to reach the farm. 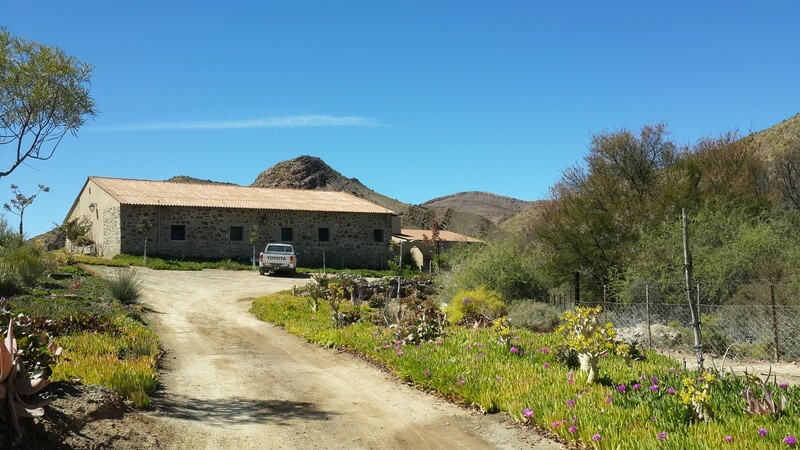 Drive through Calitzdorp towards Ladismith. Drive through the Huis River Pass. Pass the Opsoek sign and Amalienstein sign. Turn right at the Wagendrift Lodge sign, into Seweweekspoort. Continue for 62 km through the Poort. When you reach the tar road, travel 1km and then turn to your left into Wagendrift.